Clicking on Sales > B - Prospects gives you direct access to your prospect file. Frazer gives you the ability to save a sale in a "pending" state otherwise known as a prospect. The advantages to saving a deal as a prospect are vast. The obvious advantage is that you can input a customer in the system and then manage them for followup without having to complete a sale. When printing forms you can print for both completed sales and prospects. This ability to print paperwork is another advantage, as in cases where something is mis-entered. A prospect gives you the flexibility to edit the sale without having to cancel anything. Entering a prospect is essentially the same as entering a deal. The main difference being that when finished, you will click the "Save Prospect and Close" button. 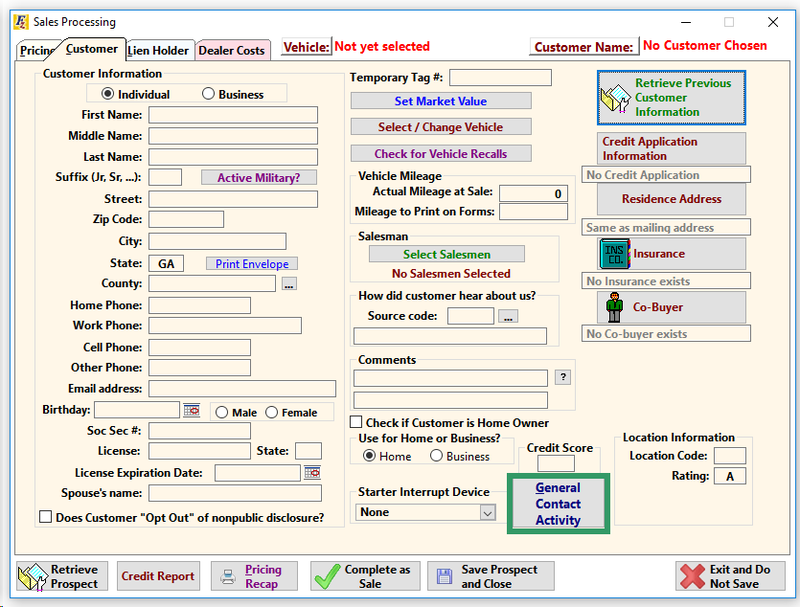 Once saved, a prospect can be retrieved by opening "Enter Sales" and selecting "Retrieve Prospect" in the bottom left-hand corner and then selecting your prospect. 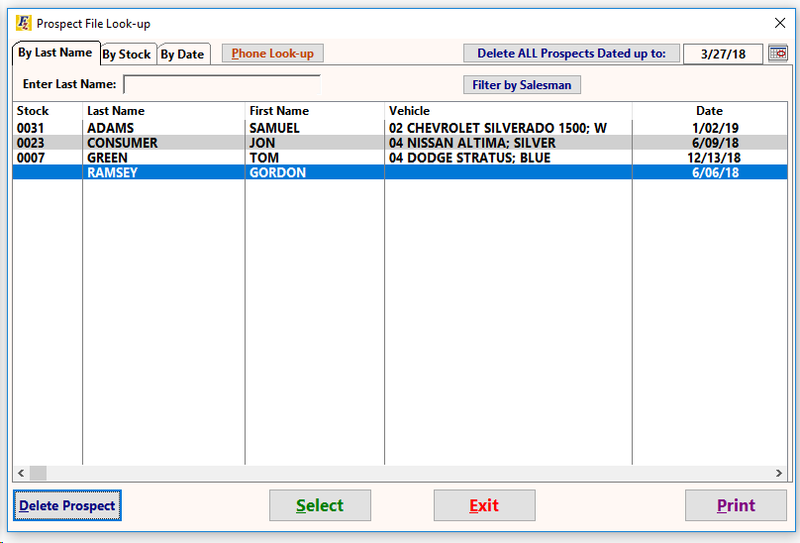 Alternatively, you can directly access the prospect file by clicking on Sales > B - Prospects. 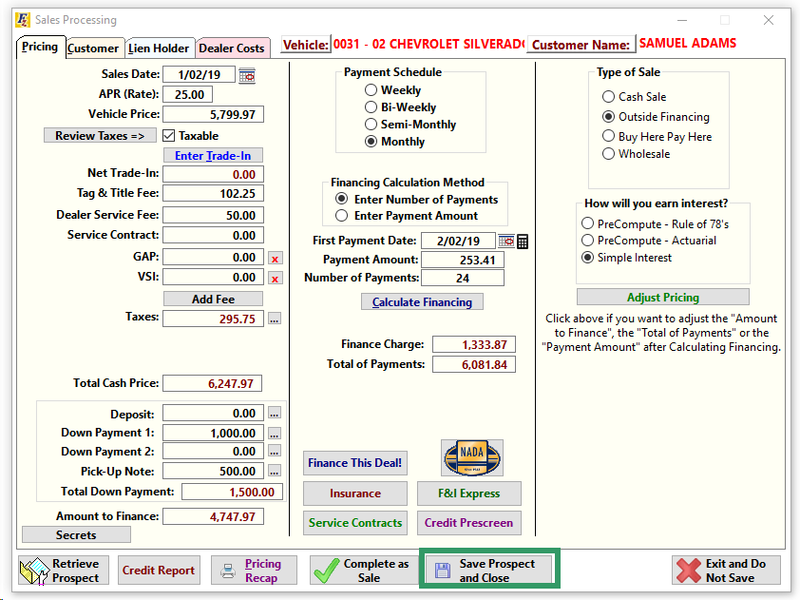 The prospect can be completed as a sale at any time by retrieving the prospect , selecting your prospect, and then clicking Complete as Sale. As far as prospects go, you can save a prospect with as little information as just a last name. Additionally for sales that may require follow-up Frazer provides a space to enter in follow-up or "Contact Activity". 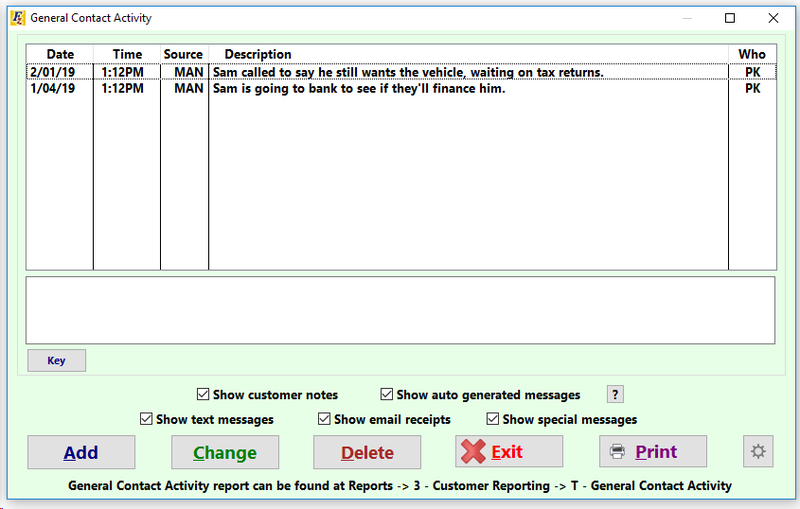 Clicking on "General Contact Activity" will open a window where you can add notes about a customer. When a prospect is completed as a sale, the general contact activity WILL follow the sale and remain on the account.